ACT is fast. 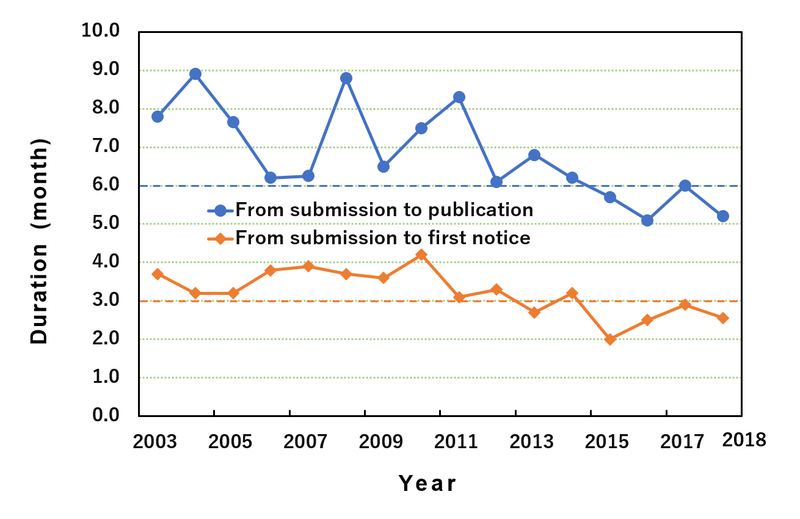 Only 5 to 7 months from submission to publishing thanks to electronic file exchange between you, the reviewers and the editors. ACT is high quality. Peer-reviewed by 3 internationally renowned experts who return review comments to ensure the highest possible quality. ACT is transparent. The status of your manuscript from submission to publishing can be viewed on our website, greatly reducing the frustration of being kept in the dark, possibly for over a year in the case of some journals. ACT is cost-effective. Submission and subscription are free of charge . Full-text PDF files are available for the authors to open at their web sites. 2019.04.20: Three papers published in April are now freely downloadable. 2019.03.30: Four papers published in March are now freely downloadable. 2019.02.28: One paper published in February is now freely downloadable. 2019.01.24: Four papers published in January are now freely downloadable. 2018.12.19: Two papers published in December are now freely downloadable. 2018.11.29: Four papers published in November are now freely downloadable. 2018.10.30: Three papers published in October are now freely downloadable. 2018.10.03: Three outstanding papers of the year 2018. 2018.09.27: Five papers published in September are now freely downloadable. 2018.08.31: Eight papers published in August are now freely downloadable. 2018.07.31: Three papers published in June are now freely downloadable. 2018.06.30: Three papers published in June are now freely downloadable. 2018.05.31: Three papers published in May are now freely downloadable. 2018.04.30: Two papers published in April are now freely downloadable. 2018.03.31: Three papers published in March are now freely downloadable. 2018.02.28: Three papers published in February now freely downloadable. 2018.01.30: Five papers published in January are now freely downloadable. Sogo Hanzomon Bldg. 12F, No. 7, Kojimachi 1-Chome, Chiyoda-ku, Tokyo 102-0083, Japan.